The interiors of the home were newly renovated with attention to detail. 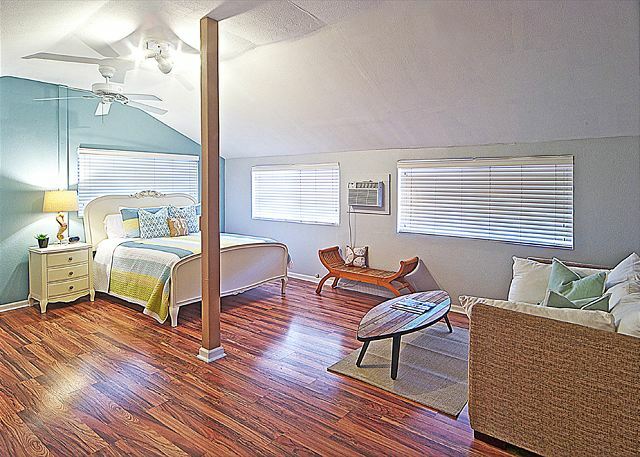 Two rooms are located on the second story and the master and an adjacent kids room are located on the first floor. The lay out offers families traveling together both private areas to unwind and gathering spots to enjoy each other's company. Ample off street parking inside of the gated property is available. 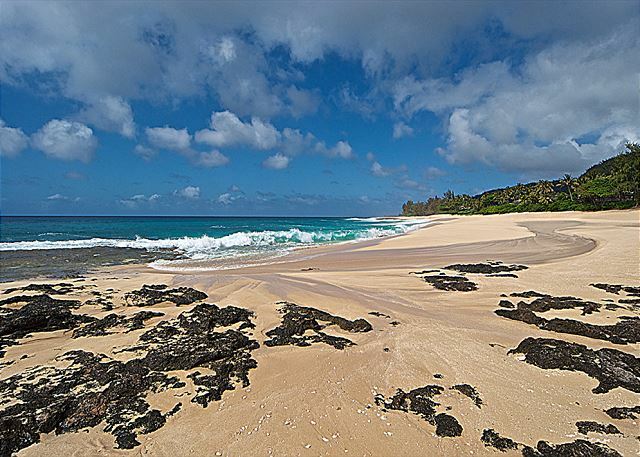 The property is one lot back from the ocean with a private side access gate to the beach path. 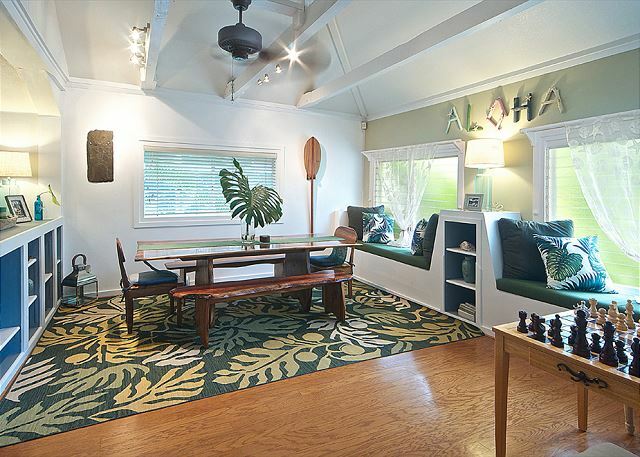 Fully fenced and surrounded by lush tropical plantings with two outdoor patio areas, the property is a secluded oasis. 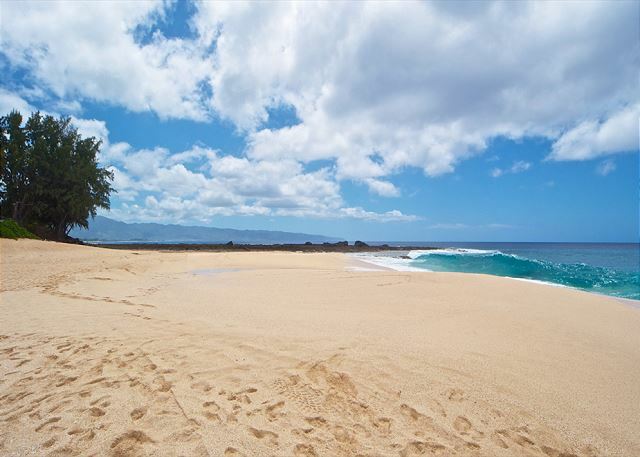 The home is located steps away from a spectacular beach in between Waimea Bay and the legendary Banzai Pipeline surfing beach. You are welcomed with lava rock to your left and a cosmic sandy beach, with clear blue waters, for as far as the eye can see. 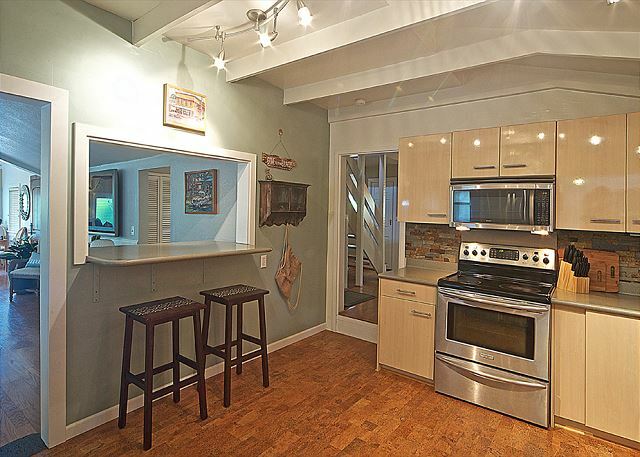 It is also about two minutes from the best market and coffee/tea shop on the north shore. 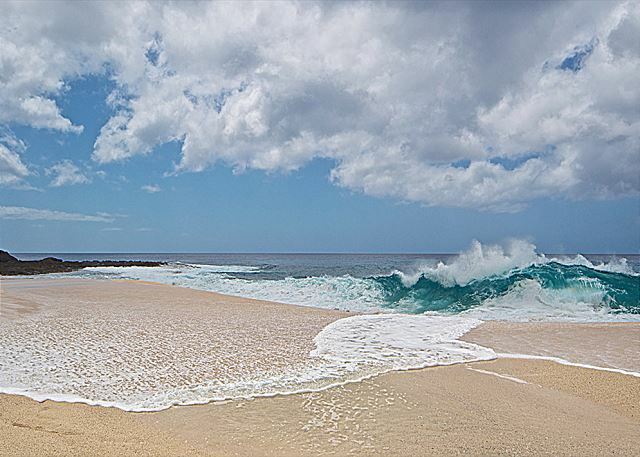 Just down the road are multiple famous beaches and surf spots such as Waimea Bay and Sunset Beach. 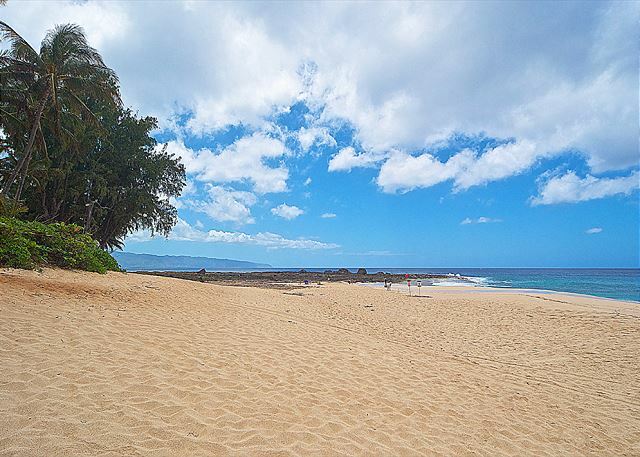 Around the corner is Sharks Cove, where the best snorkeling and tide pools are found on the North Shore, and the Banzai skate park is just across the street. 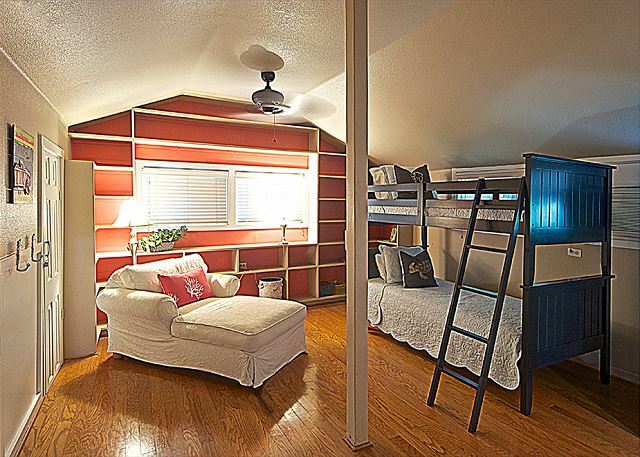 Other: Pack n plays, cribs and kids beds can be rented and delivered. AC in bedrooms only, fans throughout. 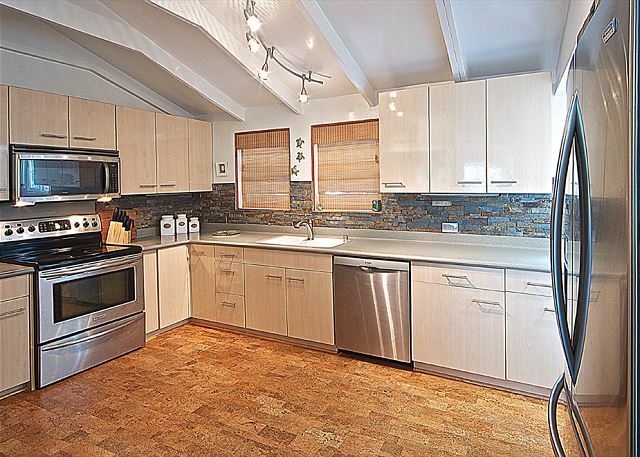 We couldn't ask for a better location for a vacation rental in Oahu. No matter which way we walked from the front door, we were rewarded with the best beaches. So beautiful everywhere we looked. The house is conveniently located near the food trucks and grocery store, Foodland. Our only regret is that we couldn't stay longer. The place was so close to the beach. Easy access to the sea and shops nearby. We absolutely loved it! An Oahu Experience To Remember! Paradise Sands was the best rental experience this family has had. 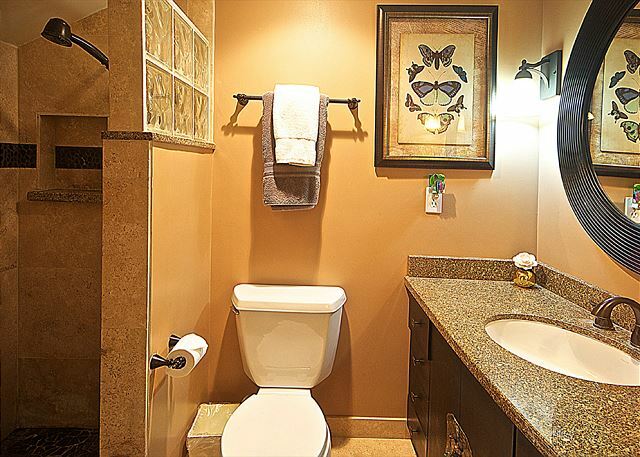 We have spent many a vacation in rental properties and Paradise Sands met all expectations. The location was awesome, especially being able to walk to multiple beaches, supermarket and food trucks. 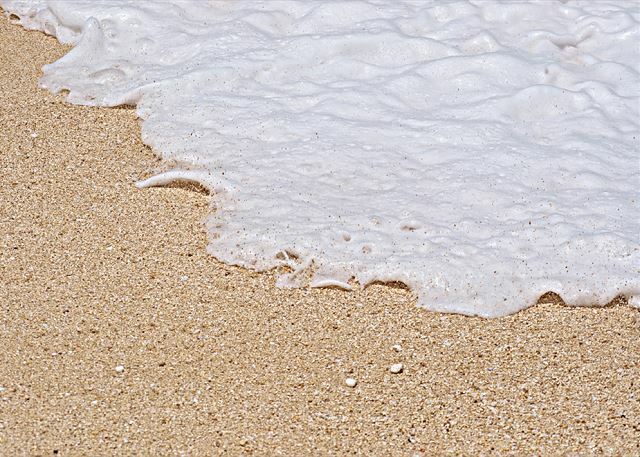 The North Shore provides the right amount seclusion with easy access to activities and island life. The management company was proactive with frequent emails. The house was stocked beyond the usual supplies. 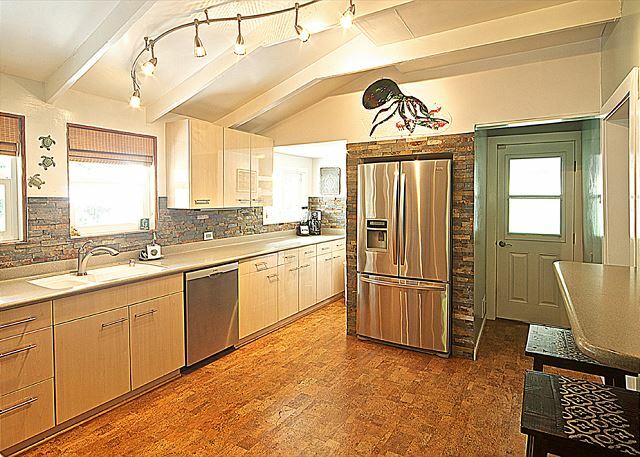 And, the pictures don't do the house justice. It was well appointed and comfortable. 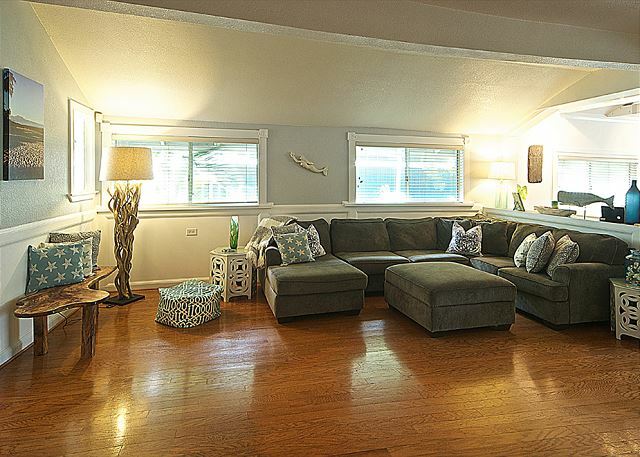 If we can get back to Oahu, we would rent this property again, without hesitation! One item to note: the 4th sleeping area is open to the rest of the first floor living space. So folks wanting total privacy may feel that this is really a 3 bedroom house. We made it work and all 6 adults had a terrific trip. Many thanks to everyone who makes this property as lovely as it is! Had a great time. 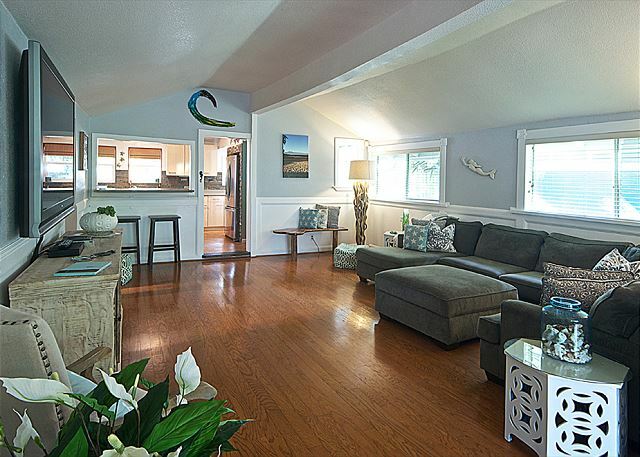 The house is beautiful, with easy access to the beach. House was wonderful! 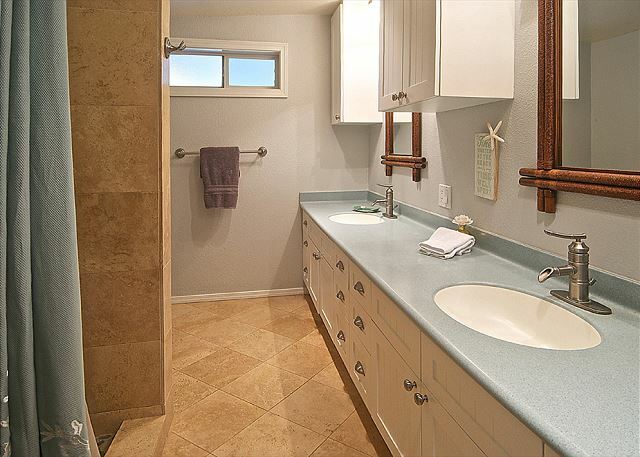 nice, clean and spacious! so close to beach! close to food open later too! amazing food! Go snorkel Sharks cove!!! quick walk there! This was a great house, had everything you could need, very roomy and homely. Check in was easy. It was in a great location, very handy to local shops and beaches. Spot on for our family. Perfect location about 400 feet easy off road walking to a relatively quiet but beautiful beach. The house itself was clean and well kept with a comfortable gathering area. In short this place is exactly as described. Paradise Sands was great. The décor was lovely and functional. House was very clean and the location was perfect. 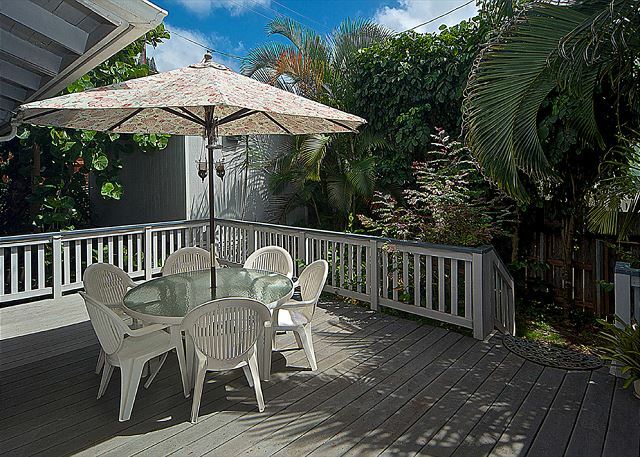 Walking distance to the beach, snorkeling, food, etc. House and location were great for our stay on the North Shore. We shared the house with another family and we all had a great time! We had an amazing stay with our children and the property was everything we had hoped for. The couple we were travelling with didn't feel the same, but I'll point out some of the challenges we had. - The house is just off the beach, but also just off the main road. Was not a problem for us, but our friends don't sleep as well as us and that traffic bothered them at night. - There is not a bathroom upstairs. Midnight pee's risk waking up the other people sleeping on the main floor. In terms of the North Shore, I was amazed. If you are from BC, I can tell you it is like spending a week in Tofino (except much warmer). People are amazing, it's quiet, and there is not much in the way of restaurants or bars. Every meal out for us was a food truck. I totally loved it! I swam as much as possible and watched the sun set every chance I had. We'll definitely be back! Lastly a quick shout out to Lani from Hawaiian Homes. She was really nice and super helpful. The Hawaiian spirt is strong in her!